PORT OF SPAIN, Trinidad – Today’s matches in Group “A” of the Super50 Cup have been cancelled, due to the extensive flooding caused by torrential rain, which has affected Trinidad & Tobago over the past few days. The flooding left several parts of the two-island republic inaccessible and Prime Minister, Dr. Keith Rowley, described the situation as “a national disaster” during a tour of some of the affected areas yesterday. The Government issued a warning overnight for residents to remain indoors, unless going out is absolutely necessary, as weather forecasters anticipated more heavy rain today. Cricket West Indies would like to express its solidarity and sadness to victims of the flooding. In the interest of safety, the Super50 Cup matches between T&T Red Force and Canada at Queen’s Park Oval in the T&T capital of Port of Spain, and WINDIES “B” and Guyana at the Brian Lara Cricket Academy in the southern community of Tarouba have been cancelled. Both matches will be treated as no-results, meaning all teams involved will be awarded two points. CWI will announce instructions about ticket refunds later. As today also marked the end of Group “A”, the cancellation of matches also meant that the Jaguars and Red Force finished in the top two positions respectively, and advance to the semi-finals of the tournament to be contested this coming Thursday and Friday at Kensington Oval in Barbados. Jaguars topped the group with 29 points – four more than Red Force – with WINDIES “B” taking third place on 16, last year’s champions Windward Islands Volcanoes finishing fourth on nine and Canada following on eight. Jaguars, led by left-handed batsman Leon Johnson, with Christopher Barnwell and Raymond Reifer featuring among the top 10 batsmen, and Jamaica-born off-spinner Ramaal Lewis and fast-medium bowler Clinton Pestano among the top 10 bowlers, will now face the second-placed side in Group “B” in the first semi-final. Red Force, led by wicketkeeper/batsman Denesh Ramdin, with Nicholas Pooran and Lendl Simmons in the top 10 batsmen, and several well-known international stars like the Bravo brothers, Dwayne and Darren, Kieron Pollard, Sunil Narine and Ravi Rampaul in their line-up, will face the top team in Group “B” in the second semi-final. Following Saturday’s matches, Combined Campuses & Colleges Marooners – led by WINDIES Twenty20 International captain Carlos Brathwaite – occupy the top spot in Group “B” with 22 points and Jamaica Scorpions – led by veteran left-arm spinner Nikita Miller – is second on 21. Both teams play their last group match on Monday to determine the final places and complete the semi-final line-up. 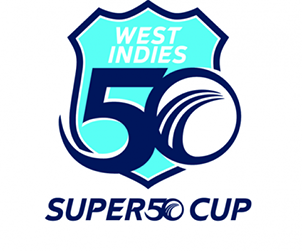 The Grand Final of the Super50 Cup is next Sunday at Kensington Oval.